Earn Trip Credit While You Volunteer! Interested in giving back to the community and earning a discount on our great trips? Throughout the year we have various events where volunteer help is needed, but even when no event is going on there are always opportunities to volunteer. Whether you prefer helping out in the office or outside at our field camp, we can use your help. Through our volunteer rewards program, each hour you volunteer with us, you earn $15 off one of our programs or trips up to 40% of the total trip cost! Are you a writer interested in education and the Colorado Plateau? We could use the help of an aspiring – or professional – writer to craft compelling articles across a variety of mediums. This would be a great opportunity for someone looking to build up a writing resume or for someone who enjoys the art of writing. We will have many opportunities throughout the year, but they will be picked up fast. 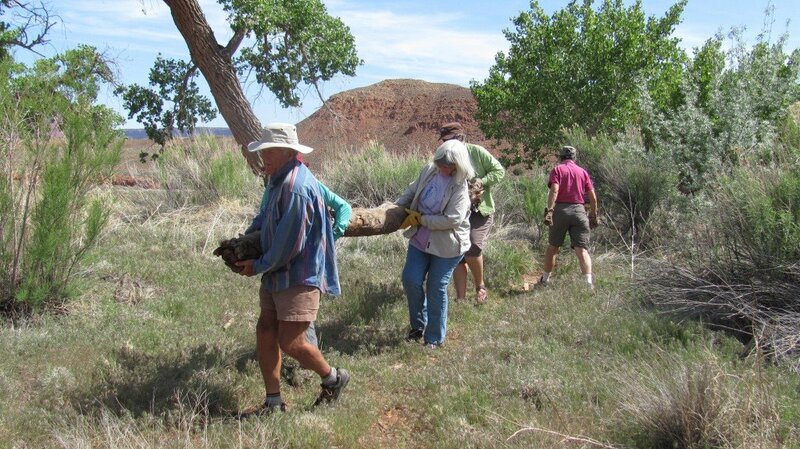 Throughout the year, there are many tasks around our office in Moab that we could use a hand with. From helping with our filing system to working on a bulk mailing there are a lot of behind the scenes tasks crucial to our mission. If you are an organizer or want to help on indoor activities these opportunities will be right up your alley. For more information on opportunities, please contact us at info@cfimoab.org.